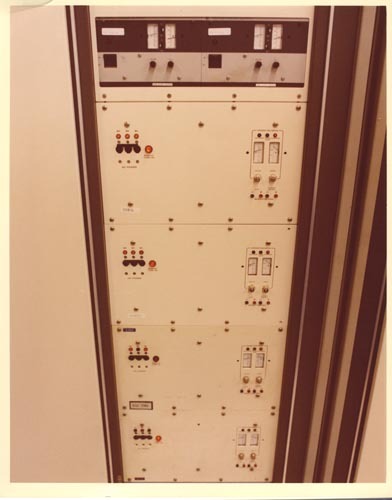 Color.View of TI ASC System Component cabinet. Has 4 identical sections with two meters and indicator lights. At the top are 4 more meters .